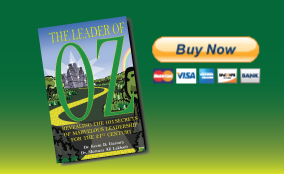 At the close of each chapter you will find four to five Marvelous Leadership Secrets to evaluate yourself as a leader in your organization. At the close of the book, you will be able to enter your scores into a leadership skills assessment tool to identify your predominate leadership style(s). NERVE - Influence great transformations by demonstrating physical, intellectual and emotional strength. HEART - Lead the walk of mutual trust that aligns with the organization's core values and recognize others' authentic efforts that transcend self-interest. BRAIN - Gain credibility and strength through clear planning and problem solving, effectively utilizing resources and navigating obstacles. WISDOM - Develop the capacity to bring your brain, heart, and nerve together in total synergy. With this profile, there is a clear path to personal development. The next step is to examine your scores on the ten dimensions of leadership and take actions towards personal growth. This profile indicates skills that are average in the ten dimensions of leadership. This leader has some sound capabilities and may already look toward the challenge of further growing his or her skills. This profile shows strong evidence that one is currently acting as an effective leader. While individuals with this profile are effective leaders, they may need to improve their performance on certain dimensions that show room for improvement.